The Sound Devices PIX-SSD5 240GB SSD and PIX-CADDY 2 for the PIX video recorder is a extra convenient package when recording. 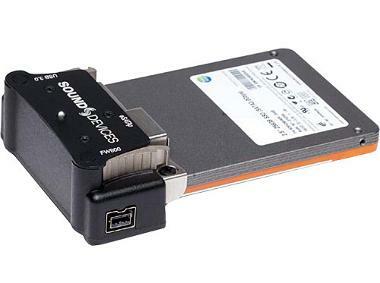 The PIX-SSD5 240GB SSD is a 2.5" SSD approved for use with the PIX 220, 220i, 240, 240i, and 260i recorders. The read speed is 550 MB/s and the write speed 520 MB/s. And the PIX-CADDY 2 connects onto the end of a 2.5" SSD drive to equip the drive with USB, FireWire, and eSATAp connections.